We’ve rounded up 20 of the cutest, spookiest and tastiest Halloween Party Recipes on the web so you can host the best party ever. Are your ready to start your holiday baking?! Halloween is right around the corner and its the perfect time to start sharpening your cooking skills or just ease into the groove of things. 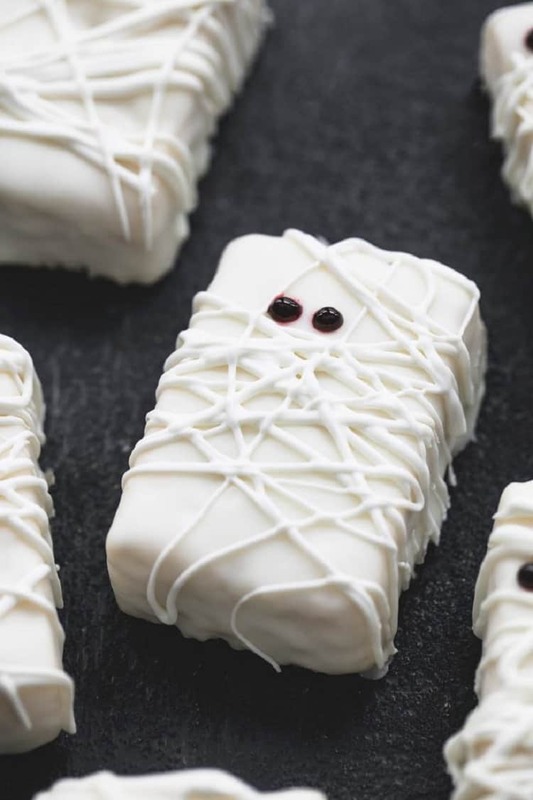 Dive in with these fun Halloween Party Recipes to get you ready for the busiest baking season of the year. 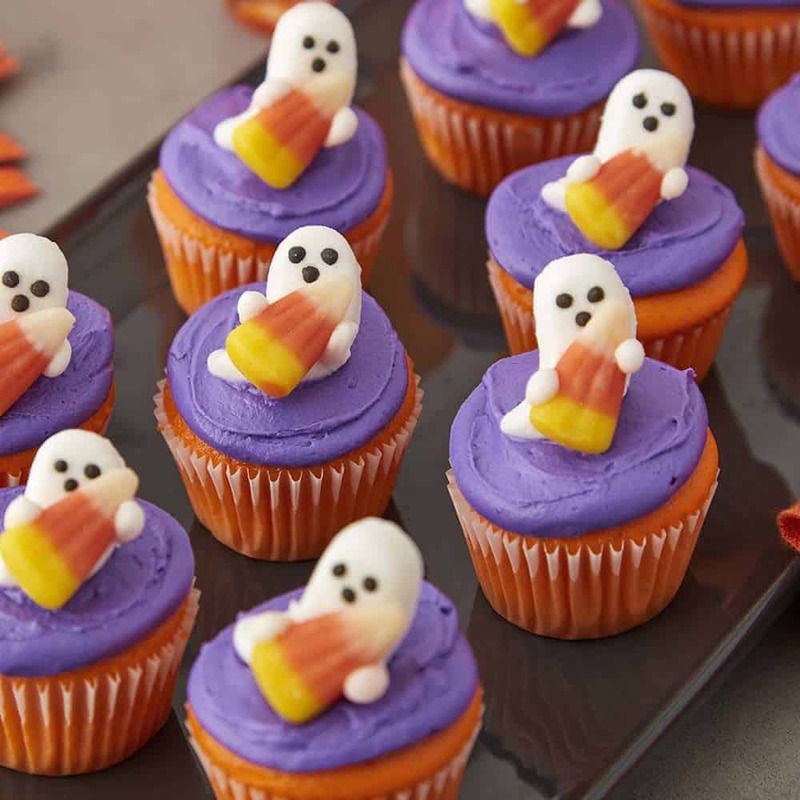 Whip up a classic cupcake and decorate them with these spooky ghosts and candy corns! You can find the recipe on Wilton. Now this is a perfect cookie! Moms and Munchkins is the mastermind behind these stellar cookies. Check out how they made these yummy cookies with a frosting job that is perfection. What makes a cookie better? When you turn it into a cookie sandwich! 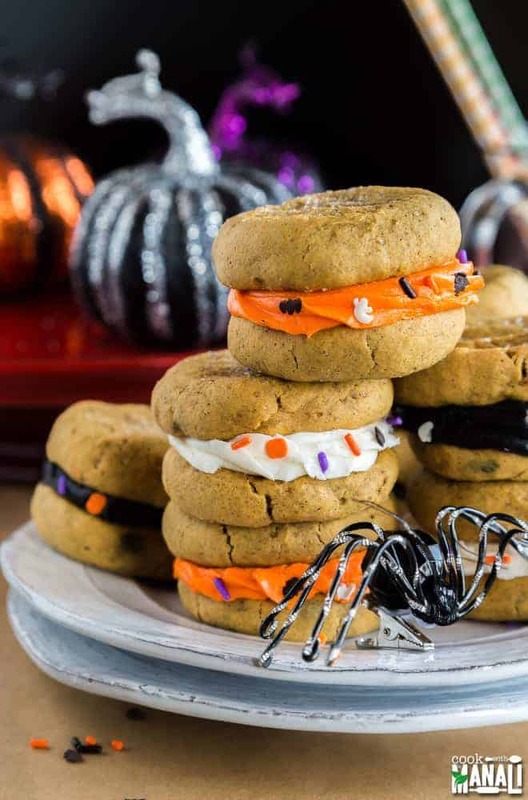 Try some of these pumpkin cookie sandwiches from Cook with Manali. There soft doughy texture and warm fall flavors will melt in your mouth. 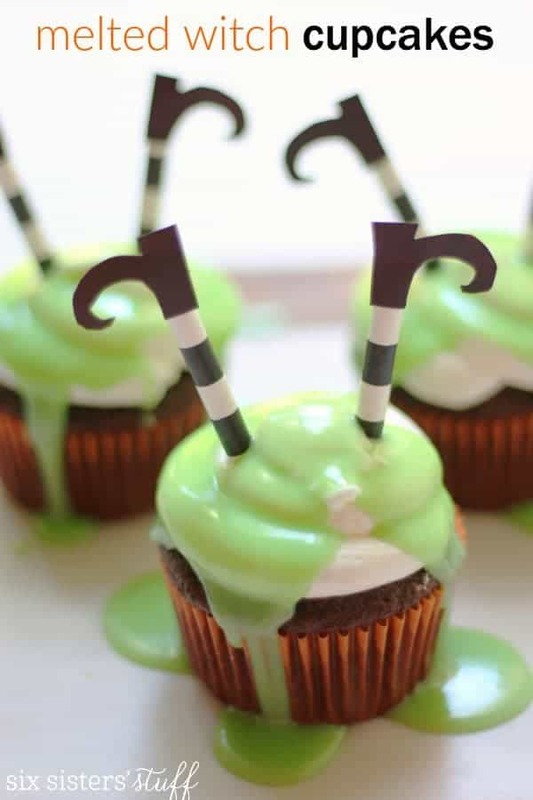 I am always a sucker for cute snack ideas like these melted witch cupcakes from Six Sisters Stuff. These are sure to be a major hit both for cuteness and taste. Not Martha has created these awesome cookies filled with edible goodies on the inside. 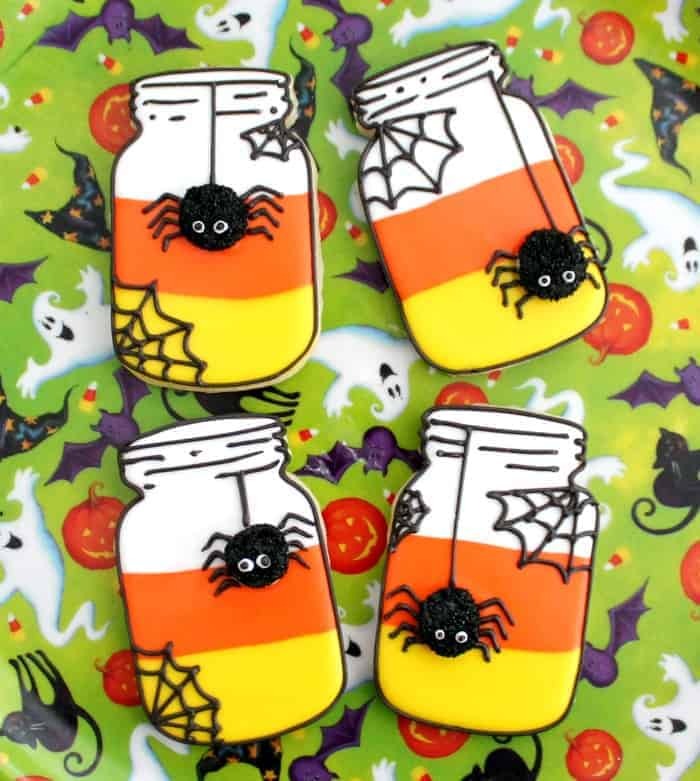 Check out their step by step instructions on how to make these fun filled cookies. Where are my moms that aren’t much for baking? That doesn’t mean you can’t create awesome treats. Take a look at these mummy Rice Krisipies. Just buy your Rice Krispie treats, melt white chocolate chips in the microwave and decorate! Not too bad, right? Check out Crème De La Crumb for more complete instructions. Chelsea’s Messy Apron has the how to for these awesome eyeballs that your little monsters will certainly gobble up. While Halloween is the sweet tooth holiday, it doesn’t mean you can’t have other delicious foods that aren’t packed with sugar. This “Shrimp On The Brain” cracker spread is yummy and definitely on point. 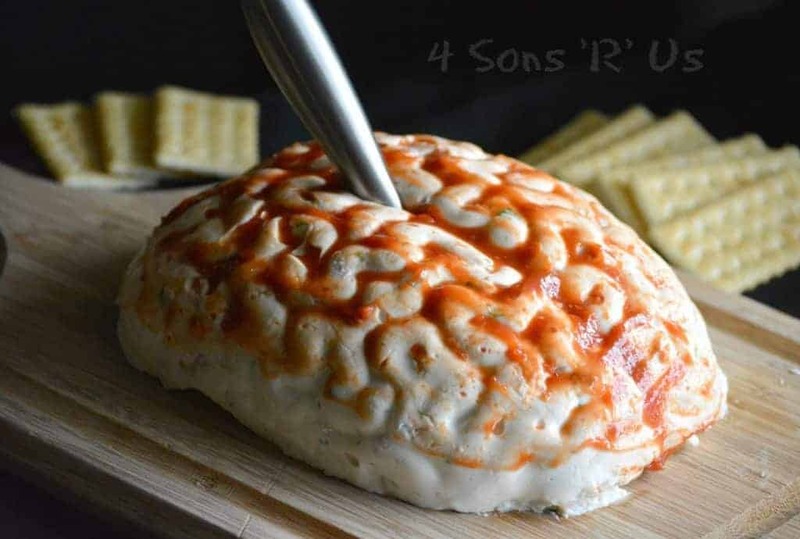 Visit 4 Sons ‘R’ Us to get the complete recipe. Veggies Save the Day have come up with these vegan and gluten free English muffin pizzas. Check them out here for this healthy, delicious treat. Think outside the box with these sushi balls from Chopstick Chronicles. These easy to make sushi balls will be a hit with guests. These pumpkin quesadillas from Lil’ Luna are a synch to make and definitely a yummy snack the kiddos will love. 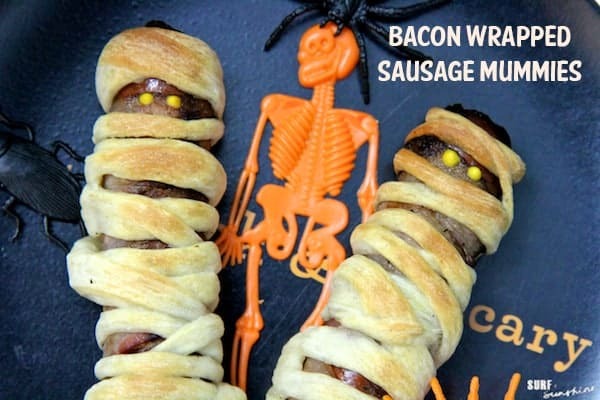 Try a fun twist on the mummy hotdogs with our very own recipe for Bacon Wrapped Sausage Mummies. 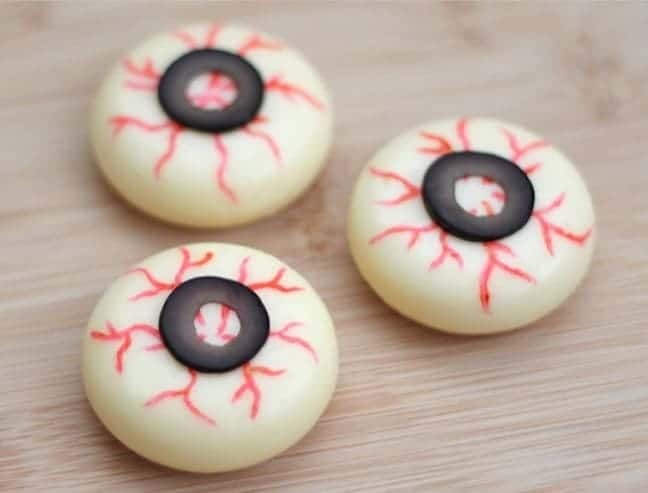 Make some eyeballs with a little cheese, olives and ketchup for an incredibly easy, no bake recipe from The 11 Best. 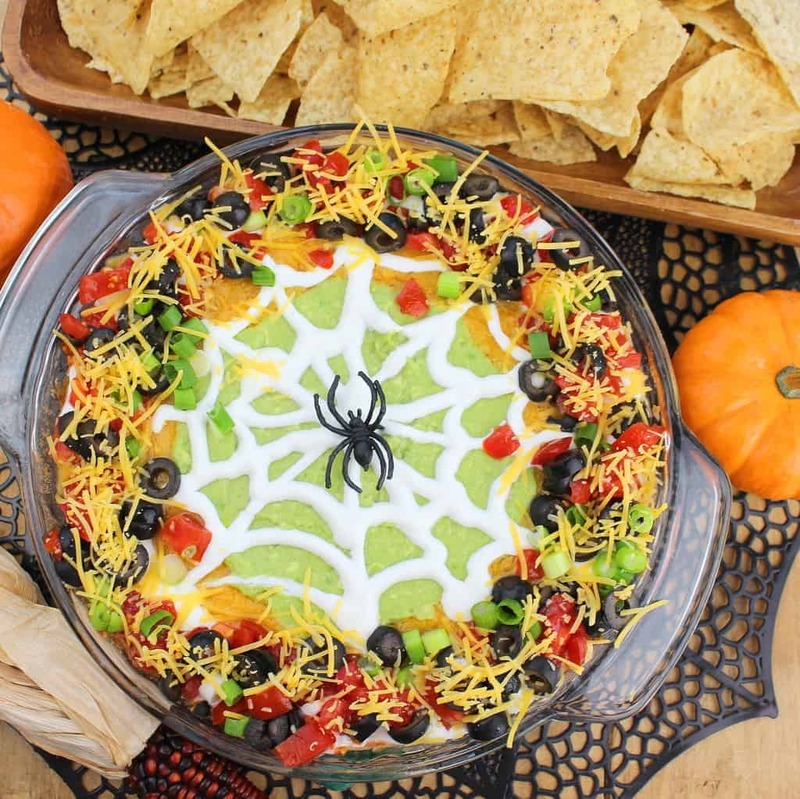 Whip up some spider web taco dip from Palatable Past Time. 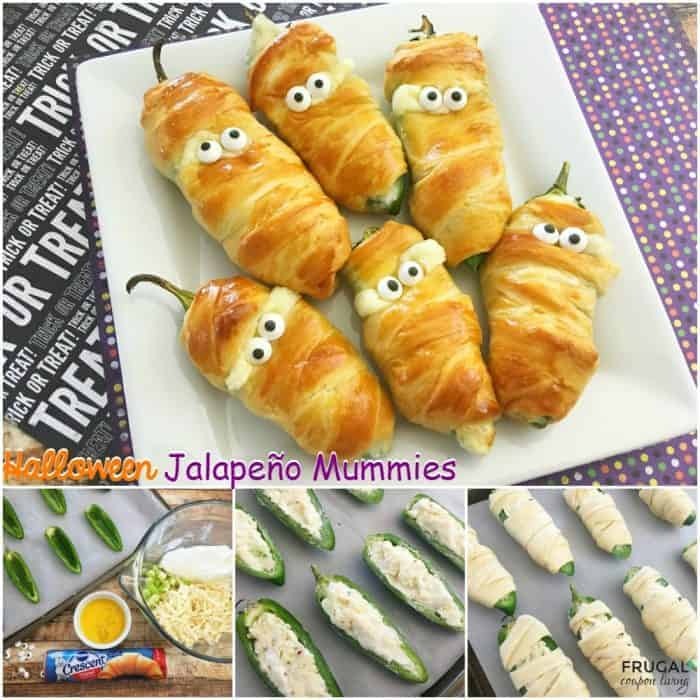 Make some jalapeno mummies stuffed with cream cheese and pepper jack cheese from Frugal Coupon Living. 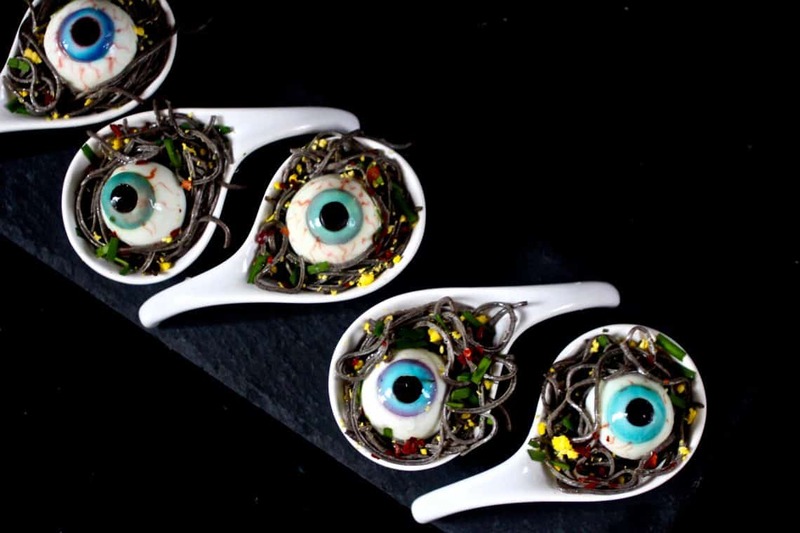 Guests won’t believe their eyes when they see these Garlicky Black Bean Spaghetti Spoons with Deviled Eyes! 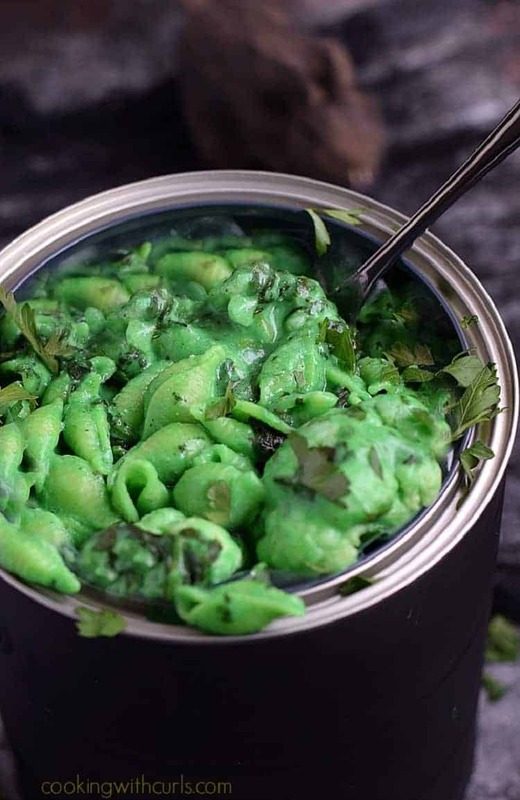 Beware of this toxic waste mac and cheese from Cooking with Curls. You won’t be able to get enough of it. Don’t forget festive drinks! 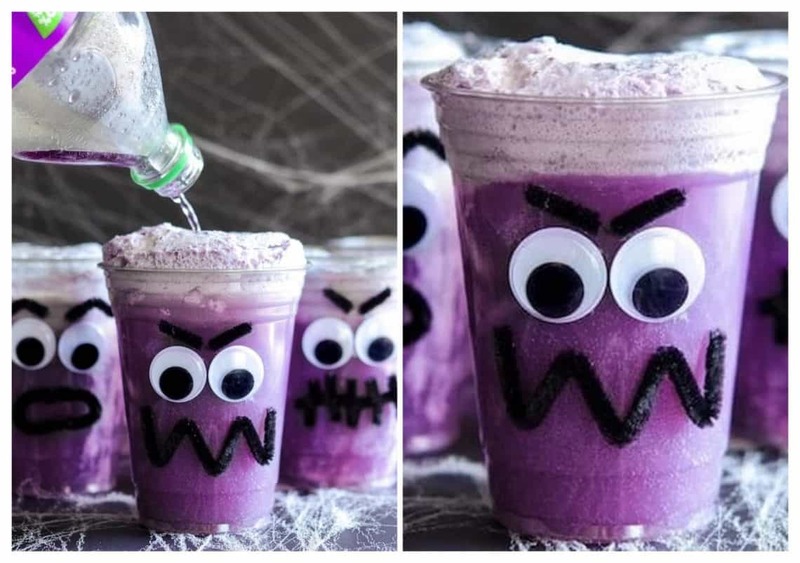 These Purple People Eater Floats from The Novice Chef will quench the thirst of any ghost or goblin. 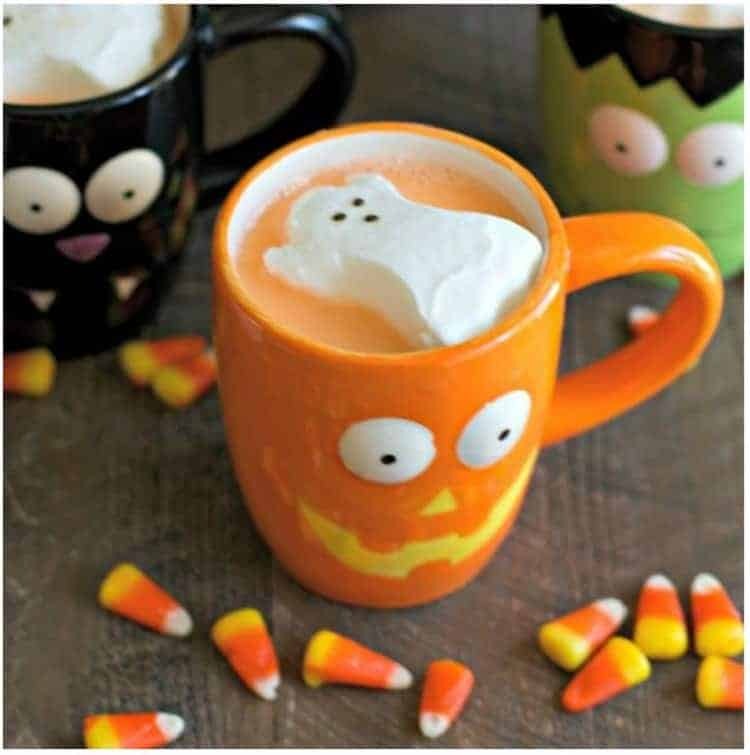 If it gets chilly where you trick or treat, warm everyone up with this delicious Candy Corn Hot Chocolate from The Magical Slow Cooker. If you are in need of a grown up drink, try making these Zombie Brain shots from Homemade Hooplah. Be sure you have everything you need including a decent stove to accommodate the epic recipes you will be tackling this year. 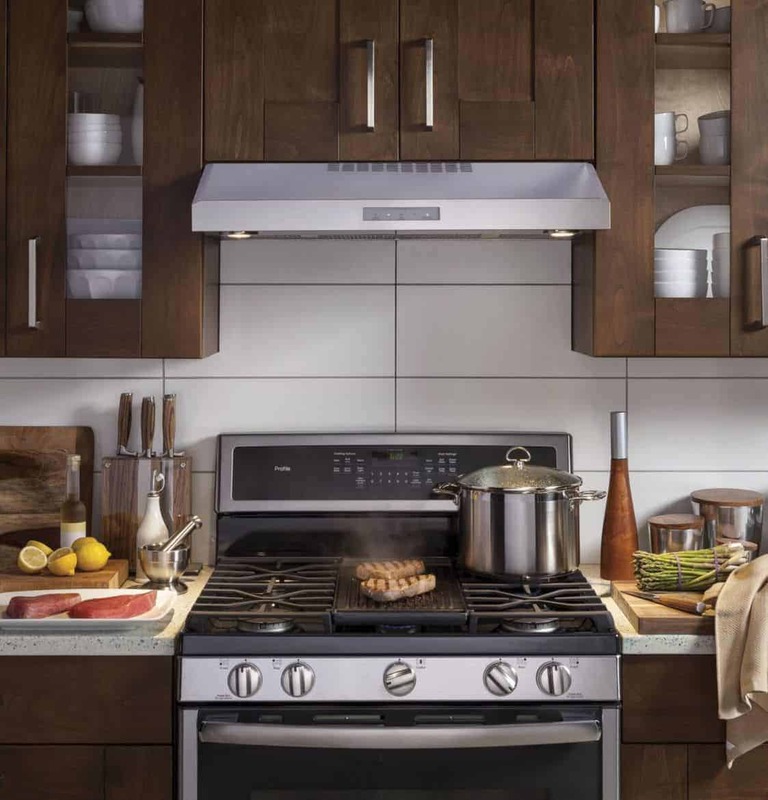 We particularly love the GE Profile Gas Range because it has an edge to edge cooktop that will allow you to use just about any size cookware and easily move them from burner to burner. Just think, with this you could bake and cook like the professional chef you think you are deep down! 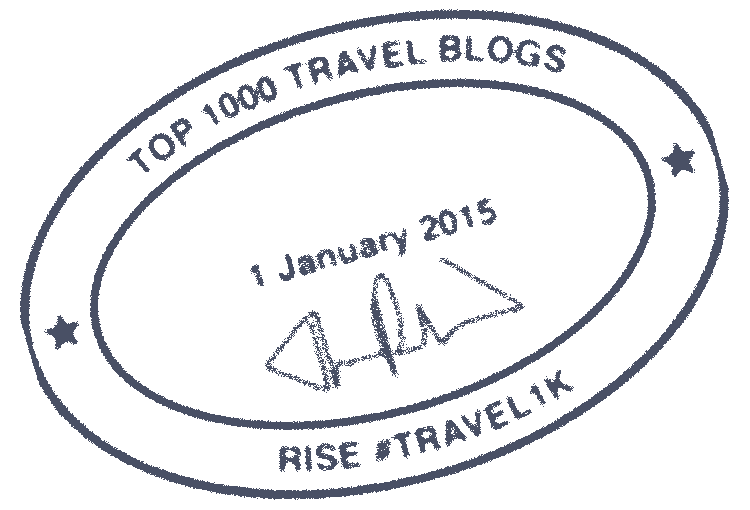 It offers an extra-large integrated reversible cast iron grill/griddle that will allow you to cook with unmatched versatility and cook up to 6 grilled cheeses at once! How awesome is that? Then, you just flip the griddle over and grill to your heart’s content. Never have you been able to do so much right in your own kitchen. Now get to cookin’! Pssstttt – for those of you that tend to drink coffee or tea while you’re cooking like I do, you’re going to FLIP over this – hot single serve brewing at your fridge?!? 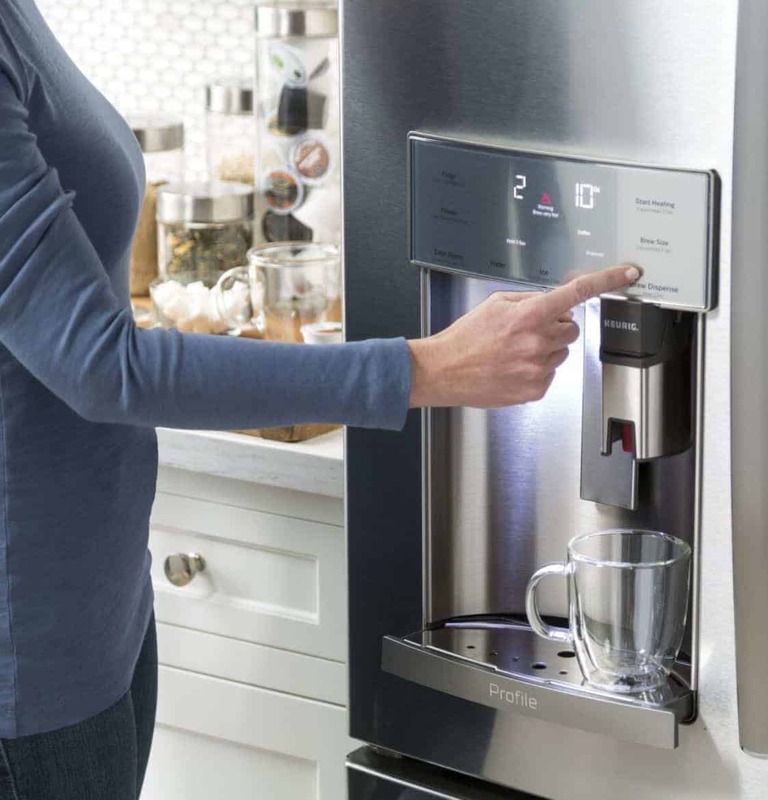 Yep, that’s exactly what the GE Profile French Door Refrigerator with Keurig Brewing System does! 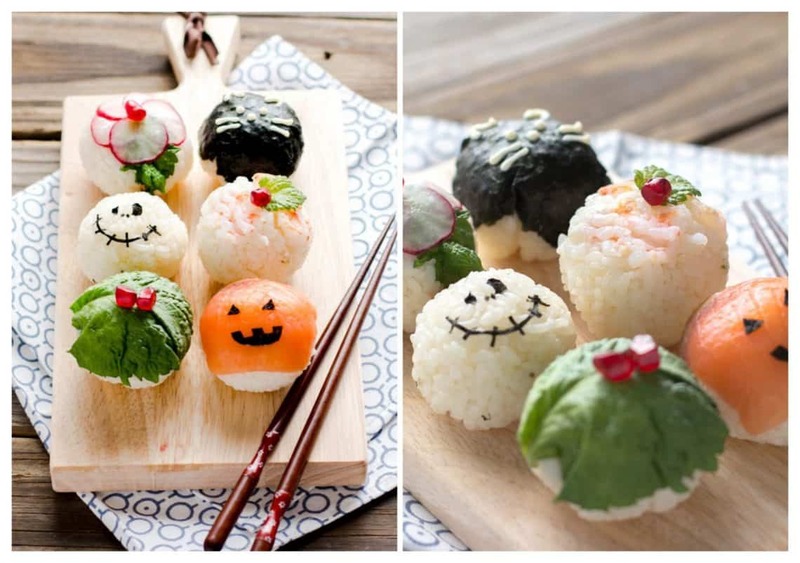 These look like some really fun foods for Halloween Parties! I think I would be so proud of making these and I know our guests would love them. All these are amazing! 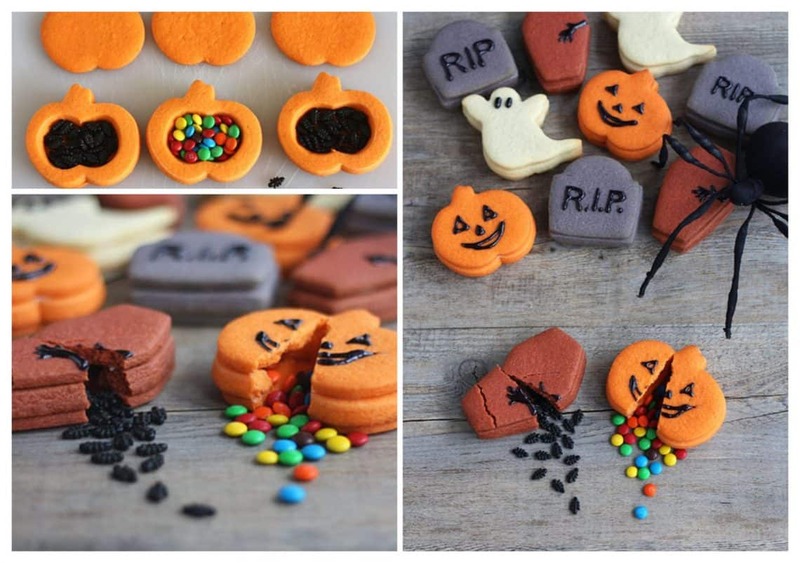 I’ll be adding some of these to our Halloween menu!